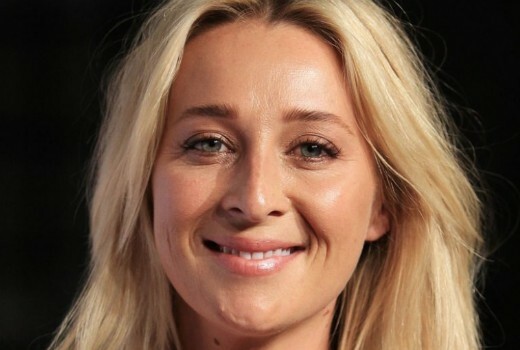 Asher Keddie and producer Imogen Banks (Offspring, Party Tricks) have a brand new drama in development, announced in Screen Australia funding today. The Sisters Antipodes, produced by Endemol Shine, centres around estranged families who are pushed to opposite sides of the world. A network has not been confirmed. Synopsis When the lives of inner Sydney residents are in danger, they call upon The Force, a cracked team of first responders who know there can only be one hero at the end of the day. Synopsis In 1965, two families collide. Affairs ignite, couples switch and the scandal pushes the realigned families to opposite sides of the world. Reeling, two little girls are given each other’s fathers. The Sisters Antipodes is the ensuing story of the lifelong competition between them and the tragedy that ends it. Synopsis When her inner-most sexual fantasy goes viral, Australia’s most beloved newsreader Olivia Law must reassess the life she’s meticulously built for herself and tackle the age-old question; what do women really want? And how exactly do you rebuild yourself when you never really knew who you were to begin with? Synopsis Claire Marks, a single mother of two, ex Australian Intelligence, now running a security company, learns her daughter was on a plane that was shot down in war-torn Syria. Claire flies to Beirut but finds herself up against ruthless players in an international conspiracy that reaches right back to Australia. Synopsis Starting over isn’t easy. Especially when you’re a single mum with no money and a dead husband. Synopsis A web series from the point of view of teenager Grace, about losing a parent, living and growing up. Synopsis Cheetah Airways is an online comedy series that takes us behind the scenes of a dodgy budget airline. Synopsis After discovering that a rare Charizard Pokemon card is now worth a mini fortune, a twenty-something who’s supposed to be looking for a job, begins a quest to reclaim the card from the primary school bully who stole it from her 15 years ago. Synopsis When a 45-year-old Australian-Pakistani mother decides it’s time to chase her dream of winning the Australian Open, she has to battle family expectations, gender stereotypes and centuries of tradition before she even meets an opponent on the tennis court. Gosh it seems every single one of them is nearly about a solo female lead. Which is fine but it almost feels every drama in oz is same/same following this path. Miss the more multiple character driven ones like all saints, secret life, rush etc. I know there’s a place to call home but i never got into that. Wentworth was good too but for me has peaked, i still enjoy it because it’s different to other Aussie made dramas.